For teams and businesses of all sizes. Time Tracking Software Reviews Recently Reviewed! Excellent. Keep up the good job! 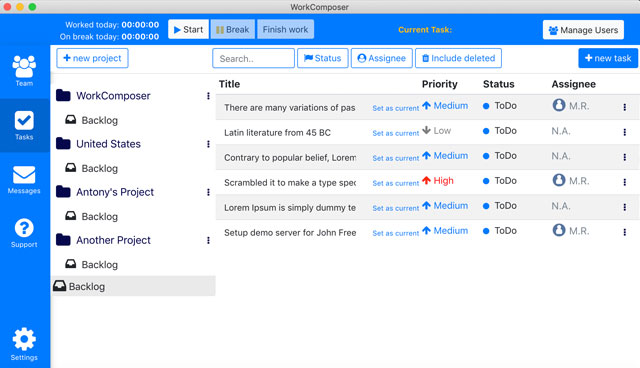 Pros: We've had huge improvement of productivity inside our team from the first day we started using WorkComposer. This guys deliver impressive amount of features for a fraction of price of other solutions. Amazing quality, easy to understand UI. Cons: Couldn't find any cons so far. Could be nice to have beeper for when WorkComposer stops tracking due to no activity. 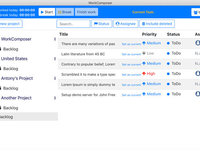 Overall: We use WorkComposer to track the performance of out team at LinguistBook.com. 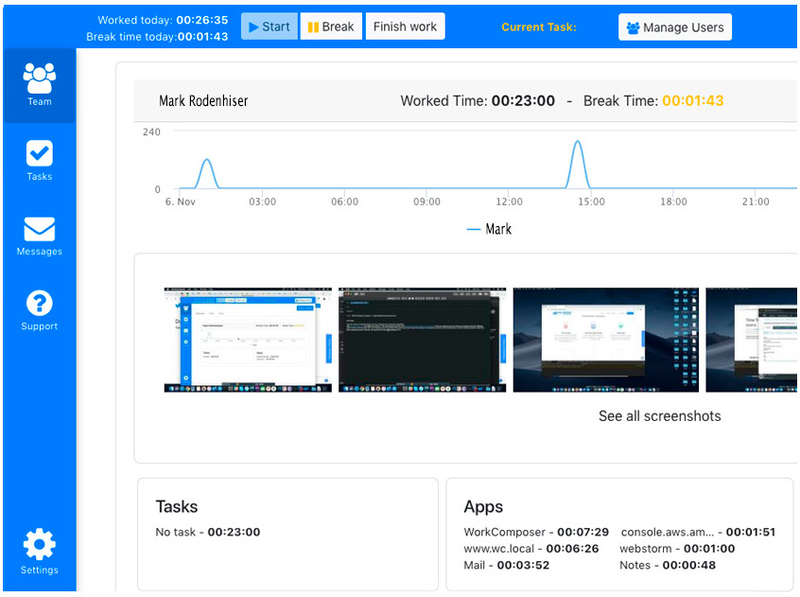 We switched to WorkComposer tasks from Jira as soon as we discovered it will be more cost-efficient than using Jira, because task management functionality comes with no cost. Besides, it's nice to have everything you need in one place. Thanks Hayk for your precious feedback. Looking forward to long term business relations with you and your company. Pros: The offline time tracking is very helpful when working for example in the airplane. Cons: Please provide mobile application for this software. Overall: I use the app for freelance projects and both the customer and me are happy with the experience. The app is highly configurable (enabling/disabling screenshot tracking). The price worth it. I would highly recommend to download and give it a try, it has 14 days trial. Thanks Lusine for your precious feedback. Looking forward to long term business relations with you and your company. Pros: i've been using this soft for a while now, and i think the offline time tracking part is the coolest. and the overall experience is nice, i got the hang of it pretty quickly. Cons: would be nice to have this in a dark colored theme too! Thanks Anna for your precious feedback. Looking forward to long term business relations with you and your company. Pros: Ability to export the tracking data in a CSV format. Cons: Can't think of anything, everything worked as expected so far. 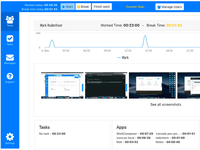 Overall: I'm a part-time freelance developer and I use Workcomposer to track and bill my clients accurately. Thanks Gegham for your precious feedback. Looking forward to long term business relations with you and your company. Thanks Astghik for your precious feedback. Looking forward to long term business relations with you and your company.